William Warre, from the Oporto family of Port producers, fought with the Anglo-Portuguese army led by the Duke of Wellington, at nearly every major battle in the Peninsular war (1807-1814). These battles re-established Portugal’s independence. Warre’s Warrior Reserve Port is the first and oldest Port brand in the world, having been shipped continuously since 1750. Commissioned as an officer in the British Army, the young Porto-born Captain Warre played a central and decisive role at virtually all of the key battles throughout the Peninsular War (1808 – 1812), during which joint British and Portuguese forces fought Napoleon Bonaparte’s successive invading armies. 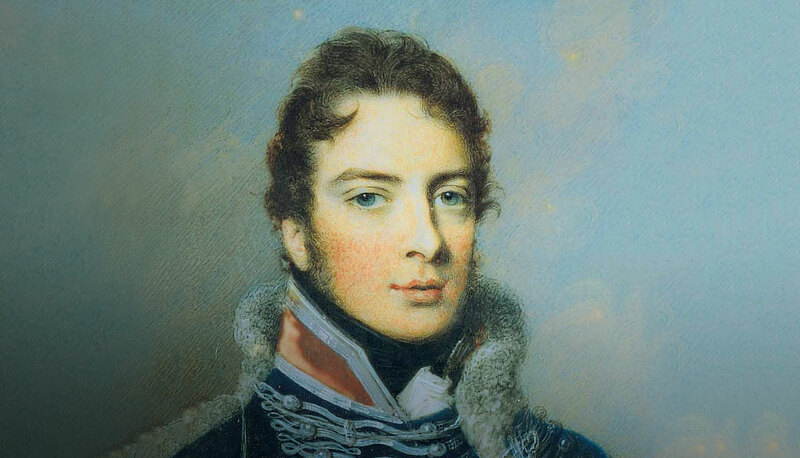 Captain Warre’s knowledge of the language and the country, despite the fact that he was aged only 24 at the outbreak of war, made him invaluable to his commanders, Field Marshal Beresford and the Duke of Wellington.